Easily make recordings that sound exactly like you. Connect your microphone to the natural sounding Scarlett preamp, and plug your guitar straight into a newly designed input, both of which capture studio-quality audio that sounds just the way you intended. 48V phantom power means you can use any mic you want. Ignite provides a refreshingly original and musician-centric way to quickly capture, combine, and arrange your musical ideas. The intuitive graphic interface encourages you to experiment and explore new directions. Smart MIDI Chord and Phrase Players empower your ideas and bring them to life through over 275 superior instruments sounds created by AIR Music Technology. When you're ready to collaborate with other musicians or take your ideas to the next level, you can share them through SoundCloud, or export your WAV, MP3 and MIDI files and import them into Pro Tools. or any DAW software. Best of all, Ignite offers seamless integration with your M-Audio keyboard controller, with no set-up chores to perform. The MV5 delivers great audio quality in a sleek, low-profile vintage design. Compatible with iOS, Android, Mac, and PC devices. Shure MV5 Digital Condenser Microphone. USB Condenser Microphone Mobile vocal recording just got easier. The Tempo USB condenser microphone is a lightweight easy to connect portable microphone. This microphone allows users to record vocals and other sounds on-the-go via a USB 1.1 or 2.0 connect. It also works with a wide variety of computer music programs, as well as over-the-internet communications systems such as ooVoo®, Skype®, iChat®, and Google Talk™. 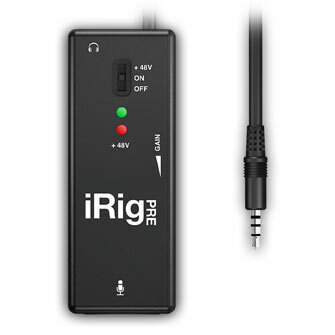 An integrated high-fidelity headphone output gives you the ability to monitor your recordings. Whether you are talking live through web chat or recording a vocal track on-the-go, the Tempo offers great flexibility. The ART USBMIX4 Microphone, Instrument, and Line Mixer/Computer Interface is a compact versatile audio interface for your computer that converts analog signals from a variety of audio sources to a digital signal that your computer recognizes. It can also be used as a stand-alone mixer through the main mix outputs. The USBMIX4 provides a great starting point for personal home studio recording or for anyone wants to do mobile location recording. Use the USBMIX4 to record pod casts, capture your latest idea for a song, make voiceovers for your home movies, or record a jam with a friend - whenever and wherever your creativity takes you! This all purpose microphone is designed to take you everywhere you want to be. This handheld microphone has a rugged design and offers two outputs. The first connects via USB for digital recording and a conventional XLR output to connect directly to a sound system. The AT2005USB also offers a headphone output with level control for monitoring. Tripod desk stand with folding legs for desktop use.